Are you stumped by trying to find the best tool you can use to create a business website? Don’t worry—you’re not alone. With so many companies on the Web promising to help you build a site with ease, researching them all can be an exhausting experience for any business owner. This article aims to make that task bit easier by weighing the pros and cons between two of the most popular options. Network Solutions and GoDaddy are two companies that offer a variety of solutions for current and would-be website owners. Although these companies primarily specialize in domain registration and hosting services, they both offer website creation services, as well. And while you can hire either of these companies to design a site for you, this comparison focuses on Network Solutions’ vs. GoDaddy’s do-it-yourself website options. Here’s an overview of these companies’ strengths and weaknesses to help you determine if Network Solutions or GoDaddy is a good fit for your business. Founded in 1979, Network Solutions has been brokering Internet real estate since long before the World Wide Web even existed. In 2011, then-competitor Web.com acquired Network Solutions, though the company continues to operate under its own brand with its own products. Network Solutions derives a majority of its revenue from its domain registration and hosting plans, which it offers alongside Web design, email marketing, and other supplementary services. Based in Arizona and in existence since 1997, GoDaddy is the most widely used domain registrar on the planet. The business generates the bulk of its earnings from domain name management, but rounds out their offerings with a suite of accompanying Web services for individuals and small businesses. 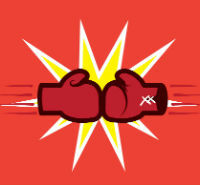 In the Battle of GoDaddy vs. Network Solutions, Who Wins? The playing field is pretty level when it comes to comparing Network Solutions versus GoDaddy, at least as far as their website builders are concerned. Both companies offer builders that are very functional, but still far from perfect. You’ll find affordably priced plans with both GoDaddy and Network Solutions, and you can count on each of them to try to sell you additional services that you don’t need. One area where GoDaddy really stands out, though, is with their exceptional support. If having someone to speak to is a priority for you, GoDaddy is the clear winner in this case. But if you don’t require as much hand-holding, you can always give the competition a shot, and transfer a domain from Network Solutions to GoDaddy if need be. GoDaddy and Network Solutions are among the most affordable and reliable website builders on the market. Find a plan that’s right for you and sign up for an account today.